> Movie Posters>Film Posters>Japanese Posters>MAD MAX Japanese Poster '79 Linen, Mel Gibson, George Miller Classic Scifi Road Movie! 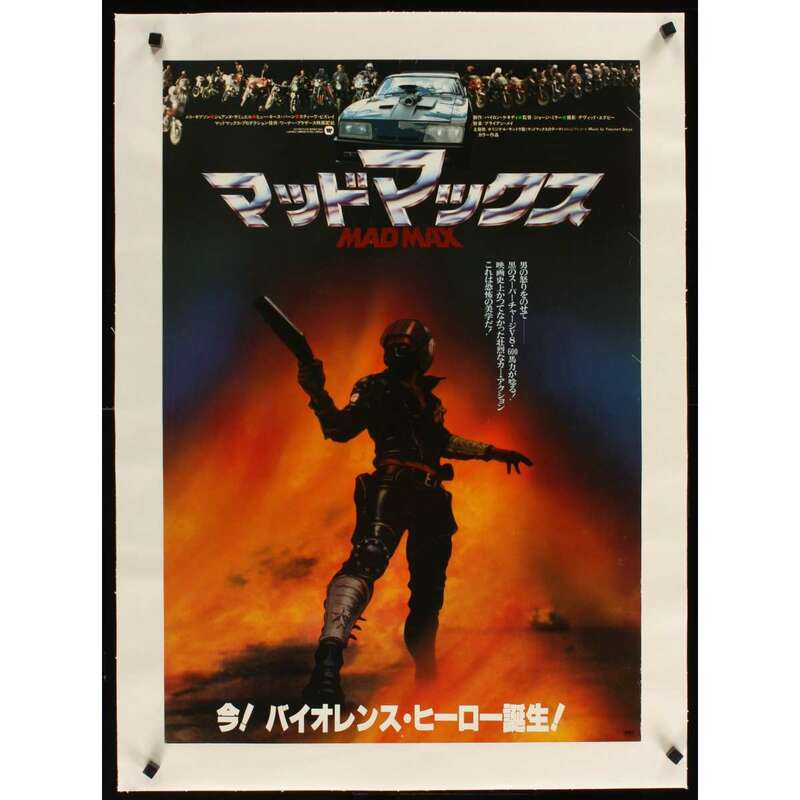 MAD MAX Japanese Poster '79 Linen, Mel Gibson, George Miller Classic Scifi Road Movie! Mad Max is a 1979 Australian dystopian action film directed by George Miller and revised by Miller and Byron Kennedy over the original script by James McCausland. The film stars Mel Gibson, who was unknown at the time. Overall Condition and Pre-Restoration Defects with Quality of Restoration: very good. IMPORTANT : In excellent condition and Linenbacked ! One chance in a life time !